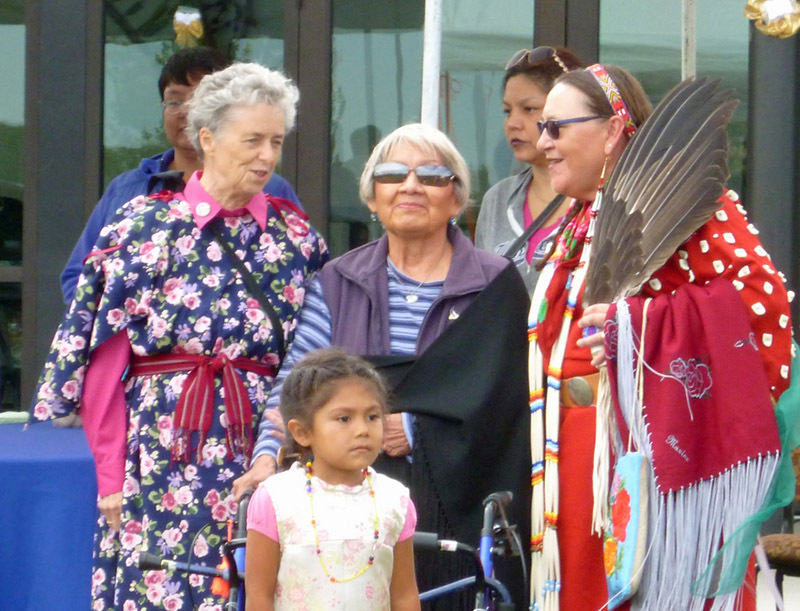 In the photo (L-R): Sister Kathleen Ross and Martha Yallup visit with friends at the pow wow. Two events at Heritage University in Toppenish, WA last week honored the historic accomplishments of its three foundresses. Two new buildings were dedicated in the names of Martha Yallup and Violet Lumley Rau (deceased), the two Yakama Nation women who recruited Sister Kathleen Ross to join them in starting the university. In addition, the university hosted its first pow wow, in which all three co-founding mothers were honored. Lila Lumley represented her sister Violet at the ceremonies. The Martha B. Yallup Health Sciences Center will house the Physician Assistant and other medical programs of Heritage University, and the Violet Lumley Rau Center will have administrative offices. Members of the SNJM Yakima Mission Centre attended the pow wow on campus on Saturday, Sept. 17. As part of the ceremonies, gratitude was expresssed for the three women whose vision and efforts gave residents of the region an important opportunity for quality higher education. People of all ages belonging to various tribes shared traditional dances, drumming and music with an appreciative crowd of faculty, students and community members. There’s always a joyful celebration when new Associates join the Sisters of the Holy Names community. 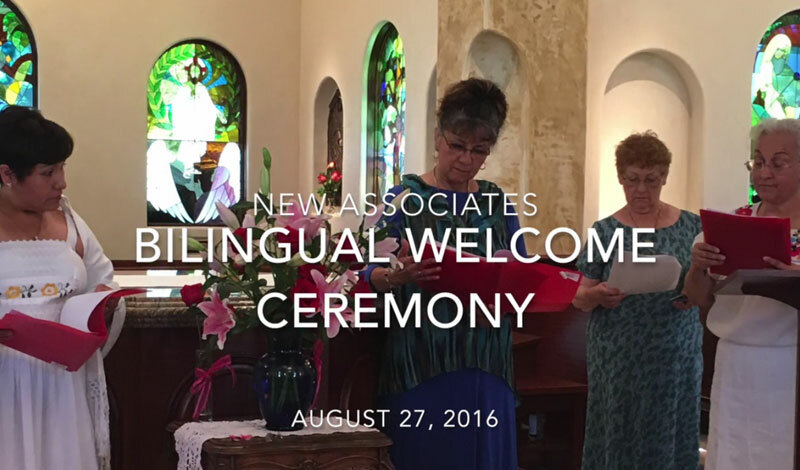 But the ceremony welcoming Ernestina Herrera and Lupita Martinez on Aug. 27, 2016 was a special milestone as the Oregon SNJM Sisters and Associates collaborated to create their first bilingual SNJM Associate ceremony. Music, introductions, Scripture readings and other parts of the ritual interwove Spanish and English. Each of the Sisters, Associates, friends and family who gathered at St. Mary’s Chapel in Medford, OR had an opportunity to respond to the readings in their first language. Guadalupe Guajardo, SNJM, a member of the U.S.-Ontario Province Leadership Team, coordinated the efforts of many partners to organize the ceremony. See below for a video recording with highlights of the event. Click here to learn about becoming an SNJM Associate. Emma Bézaire, SNJM has agreed to serve as representative to the Canadian Religious Conference for the U.S.-Ontario Province of the Sisters of the Holy Names. Paula Demirelli, Assistant to the Director of the CRC, requested the appointment of a Canadian citizen for the post. After being asked by Maureen Delaney, SNJM, U.S.-Ontario Provincial, Sr. Emma graciously accepted. She will attend meetings, participate as a member and report to the Province on CRC activities. For more information about the CRC, please visit the organization’s website at www.crc-canada.org. 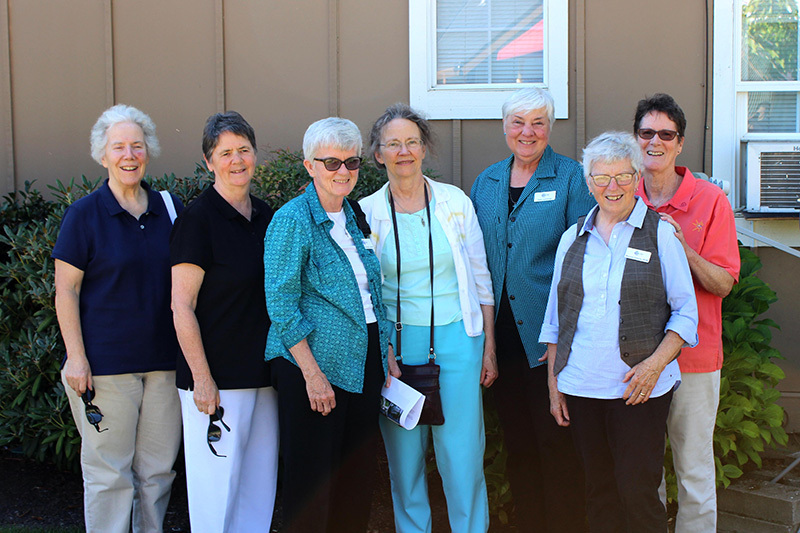 Get On The Bus, a program of the Center for Restorative Justice Works, had its early beginnings 17 years ago through the support of Leadership Conference of Women Religious (LCWR) member communities, including the Sisters of the Holy Names. 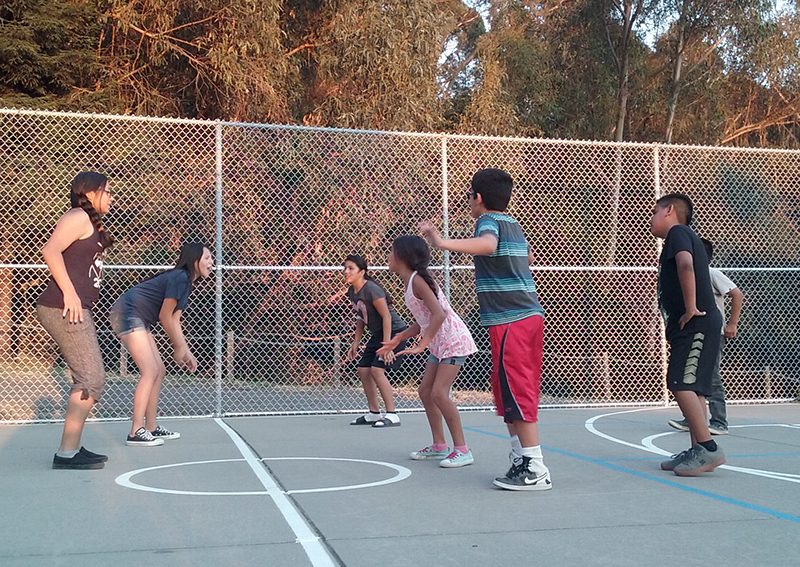 With its newest program, two five-day camps at the federal women’s prison in Dublin, CA, CRJW asked the Sisters to help with lodging eight children, ages 9 to 14, and their counselors for one of the camps, held July 24 -29. With the encouragement of Jo’Ann De Quattro, SNJM and Carol Sellman, SNJM, and thanks to Dr. Bill Hynes, Associate, former Holy Names University President, HNU provided overnight accommodations and afternoon recreational facilities following the 4-5 hours the children spent inside the prison with their mothers. Named Camp Suzanne in honor of CRJW’s founder, Suzanne Jabro, CSJ, the program in late July reunited five mothers with their children, and offered them a unique opportunity, under the guidance of Loyola Marymount University art therapists, to be moms – to strengthen family bonds and to encourage their children’s dreams for the future. Of the five mothers, three will be deported when they complete their sentences. Camp Coordinator Naomi Cornejo, SSS, expressed her deep gratitude to Dr. Hynes, Sister Carol and HNU Assistant Vice President for Facilities and Events Luis Guerra for helping to make this camp a reality for these families. To visit the website for Get On The Bus, please click here. 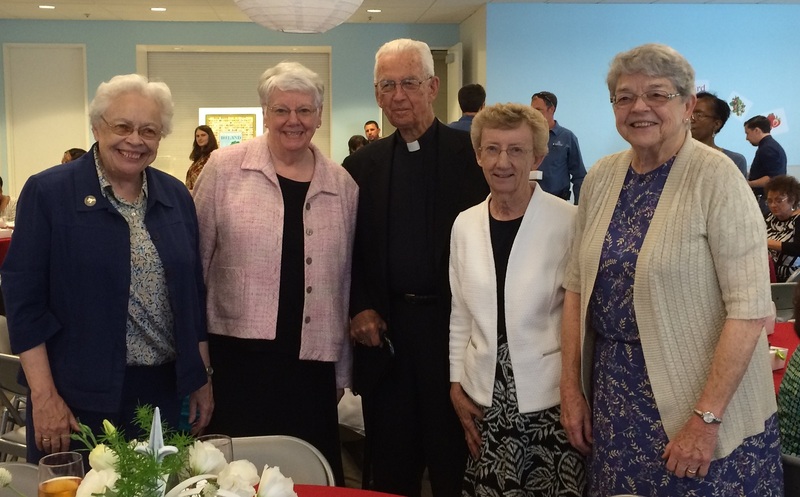 In the photo (L-R): Sisters Mary Breiling (PLT), Peggy Kennedy, Margaret Kennedy (PLT), Mary Ellen Holohan, Province CFO Vicki Cummings, Maureen Delaney (PLT) and Cathy Beckley. Maria Louisa Home Ownership Program (named after SNJM Sister Mary Louis Volk, RIP, who ministered to the Latino community in Cornelius for many years). Horizon Homeowners Cooperative, a manufactured home park. With CASA’s assistance, this park is now owned by the residents. Villa Del Sol, an affordable housing project for farm worker families. Virginia Garcia Medical Clinic, which serves primarily farm workers. During the visit, the executive director of CASA expressed appreciation for the loan and acknowledged SNJM as a collaborator in support of these successful projects, largely assisting farm worker families and other immigrants. 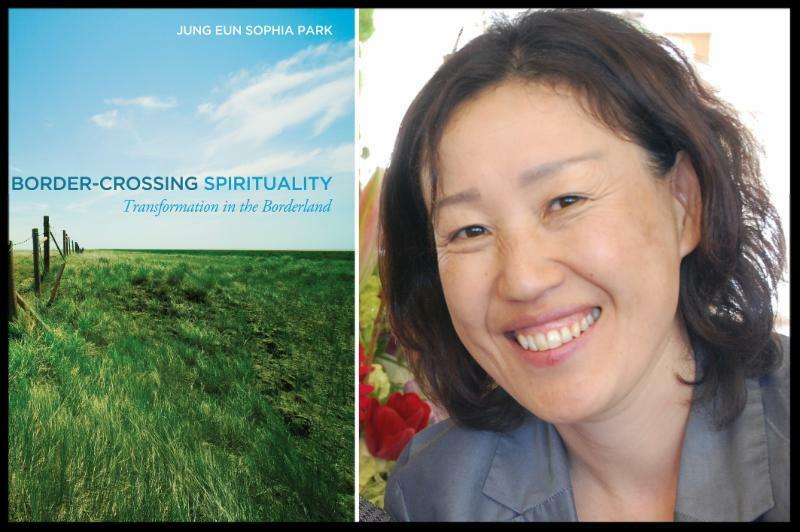 Wipf & Stock Publishers has released a new book by Sophia Park, SNJM titled Border-Crossing Spirituality: Transformation in the Borderland. The book explores the spiritual importance of being “in-between,” and examines the various meanings of “in-betweenness” from different religious traditions. It emphasizes the value of radical hospitality, friendship and subjectivity. Sr. Sophia is Assistant Professor of Religious Studies at the Holy Names University in Oakland, California. She is the author of A Hermeneutic on Dislocation as Experience: Creating a Borderland, Constructing a Hybrid Identity (2010) and Beauty of the Broken (2014), the latter published in Korea. Her research is on cross-cultural spirituality and religious life from a global feminist perspective. 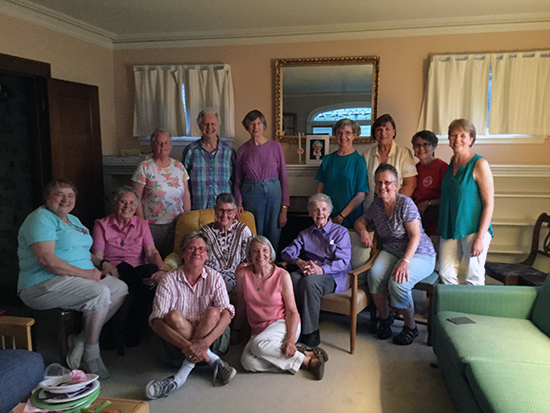 A group of 15 Sisters, Associates, friends and neighbors gathered at St. Joseph Faculty House to mark its closure as a local SNJM house in Seattle. Its last residents have now moved to Spokane or other Seattle places or, in the case of Ann Cornelia Sullivan, SNJM, seen in the photo on the mantel, gone to heaven. “We voiced many grateful memories of 41 years of occupancy, bringing much laughter, and shared bountiful appetizers and desserts,” said Linda Riggers, SNJM. Judy Ryan, SNJM convened the group and led joyful conversation and prayers. A particular blessing was the knowledge that many household goods have been given to a Honduran refugee family. Densy Chandra, Associate, third from right, and Greg Chandra, Associate, second from right. 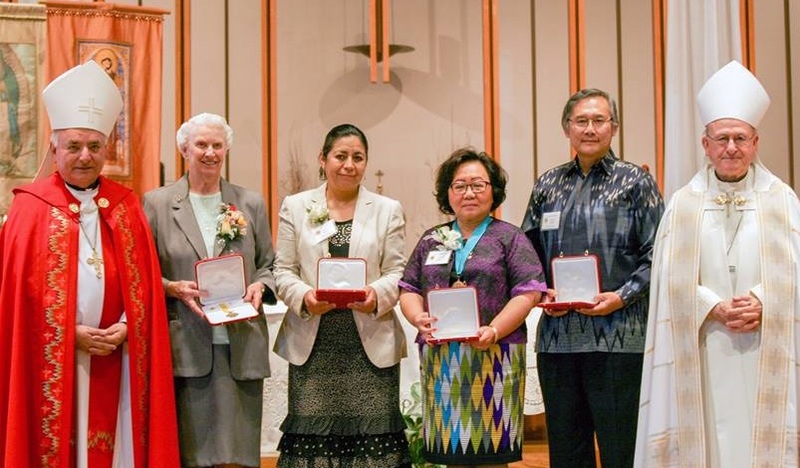 Southern California Associates Densy and Greg Chandra were among four San Bernardino Diocese recipients of the Pro Ecclesia et Pontifice Cross Award, the highest honor bestowed upon laypersons by the Vatican. Greg and Densy are active in many parish and diocesan ministries including building and development, Asian-Pacific ministry and social concerns. Densy served as a national delegate to the United States Conference of Catholic Bishops’ Asian Pacific Ministry for more than 10 years. She is the coordinator of the Diocesan Migration Mass. The couple belongs to the Equestrian Order of the Knights and Ladies of the Holy Sepulcher, which provides for the needs of the Church in the Holy Land. They are also regional advocates for Catholic Relief Services. Photo caption: L-R: Jo Anne Quinlivan, SNJM; Barbara Bray, SNJM; Bishop Emeritus John Cummins; Cynthia Canning, SNJM and Donna Maynard, SNJM. 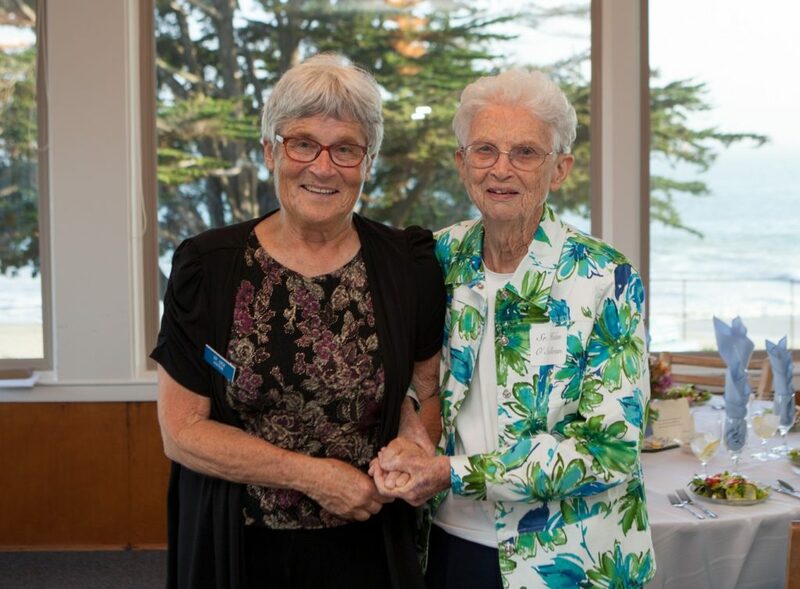 Over 100 administrators and staff members of the Oakland Diocesan Chancery Office gathered for a luncheon on June 22 to honor and thank Barbara Bray, SNJM (East Bay) as she retires from her ministry as Superintendent of Schools. Bishop Emeritus John Cummins offered the invocation. Bishop Michael Barber and Assistant Superintendent Linda Basman spoke in glowing and grateful terms of Barbara’s gifts of servant leadership, her creation of a “community of schools” in the Diocese and her mission-driven and child-centered service during her 38 years of educational ministry in Oakland. She served as principal in two parish schools, assistant superintendent and superintendent.